Born and raised in Northeast Ohio, Rodney Dennis, Sr. grew up in Garden Valley near Cleveland and currently lives in Akron. He attended the University of Akron where he graduated with a Business Degree and then joined the United States Army for six years. After his service, he returned to Akron to figure out what to do next. Dennis found Beyond Expectations Barber College (BEBC), but could not afford enrollment so applied for the Martin Luther King Jr. Scholarship, and was accepted. After ten months at BEBC, Dennis said he learned more about the political system and entrepreneurship and was determined to open his own barber shop. Dennis received his instructors’ license. He is the youngest African-American to obtain this license in Ohio and since then has opened Kingdom Kutz, America’s Barber & Beauty Supply and Levels Barber Studio in Akron. Dennis is passionate about cutting hair but even more passionate about helping others. Every Tuesday, Dennis volunteers to help and teach students at BEBC. 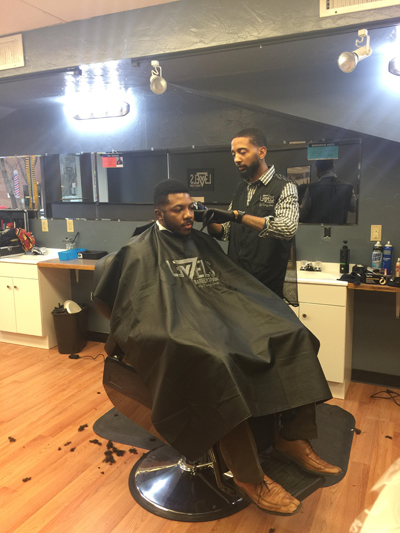 In 2016, he gave about 1,500 free haircuts to the Cleveland and Akron communities in churches and juvenile detention centers. Dennis has also given speeches and presentations at prisons and barber shops about his success and said he wants to help as many people as he can to reach their potential. Dennis is nowhere near done. For the future, he has plans to run for city council, plan an entrepreneurship expo in Downtown Akron in the summer, plan a barber expo, open a barbershop and barber school in his hometown, get better at public speaking and continue to help others.